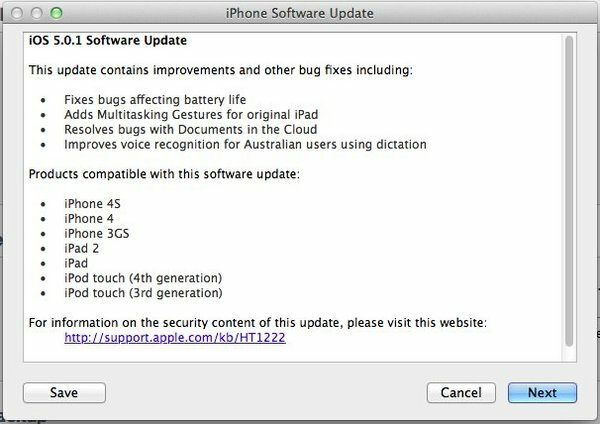 Apple has just released iOS 5.0.1 to the public and everyone is looking forward to the battery bug fix. This update includes a fix for bugs affecting the iPhone battery life, adds multitasking gestures to the original iPad, and resolves some miscellaneous issues. You can download iOS 5.0.1 for all of the iDevices from our Downloads page.